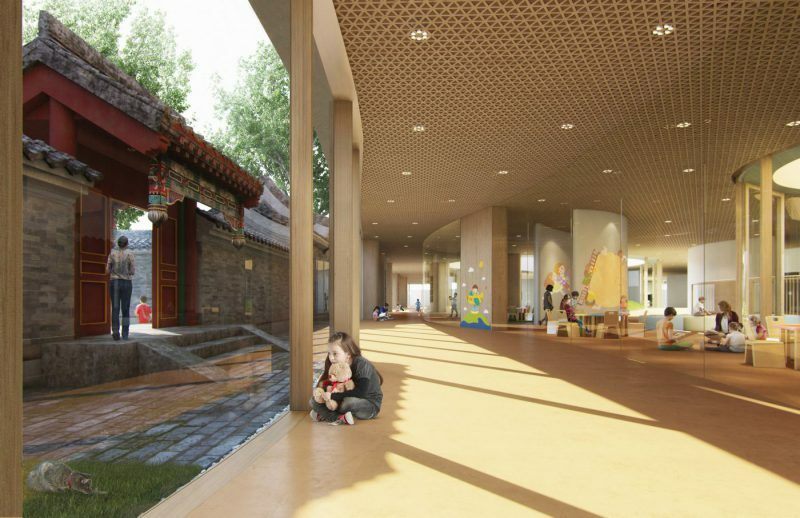 The “Courtyard Kindergarten” designed by Chinese studio MAD restores a traditional Bejing courtyard from 1725 by integrating it with a modern 90’s building with a protective floating roof and a new integrated building for the kindergarten. The fusion of building styles and the multidimensional usage of space in this project is in line with the new Chinese heritage conservation philosophy. It also serves as a compass for children’s understanding of history and the nature of old and new places. In this way, it gives them a ground for both an objective comprehension of their surroundings and a space for imagination and education. 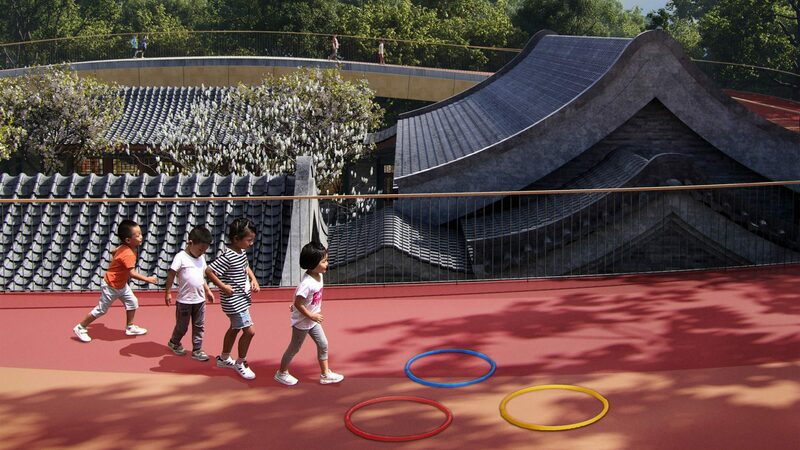 Indeed, vibrant surfaces of the roof can easily spark children’s imagination. Complemented by terrain sculpturing, the space creates a perfect environment for games and relaxation with an added bonus of a pleasant view at the canopy. 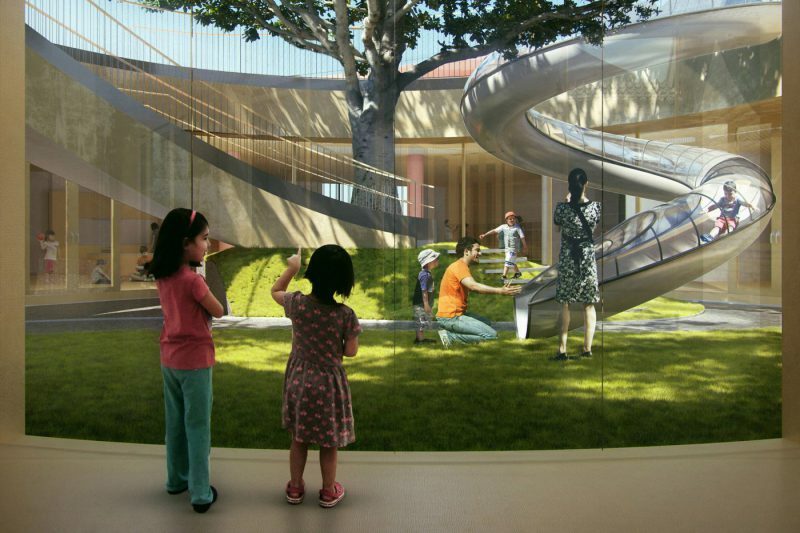 Yet another lesson the new building can teach kids is nature preservation. The explicit decision to design this complex around ancient trees instead of destroying them is a bold step that shows dedication to healthy and green urban living. 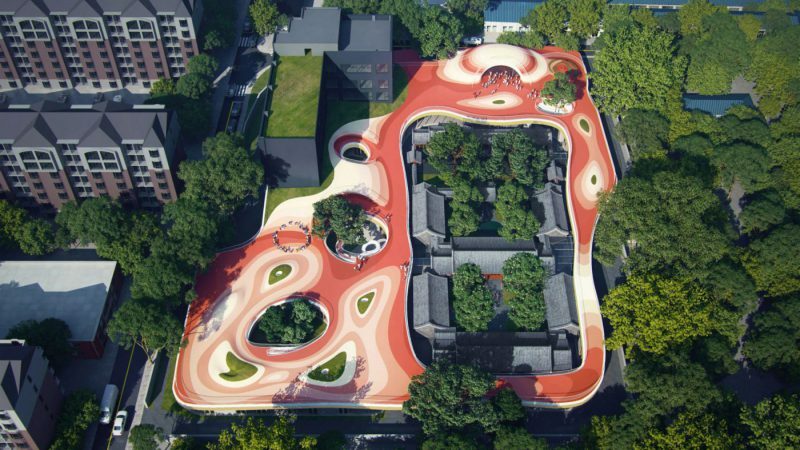 This kindergarten courtyard could mark the beginning of a new approach to architecture in China, where the ancient and the new can co-exist. Researchers and designers of the Interactive Architecture Lab, at UCL’s Bartlett School of Architecture in London have created a robotic cyber-garden that can sense its surroundings and move around the city if necessary, adjusting itself to the environment.